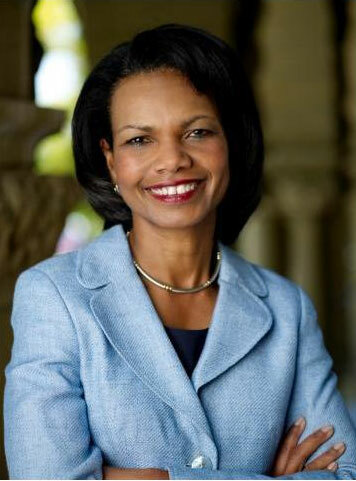 Illinois Central College Chinese Language Institute and Peoria Area World Affairs Council will co-host the 12th annual China Town Hall event, a one hundred-city webcast featuring former Secretary of State and National Security Advisor, Condoleezza Rice. The local, live webcast takes place Tuesday, October 9 from 4:45 to 7:30 pm in the Arbor Hall Auditorium, Room 111, on the ICC Peoria Campus, located at 5407 N. University St., Peoria. Chinese tea will be served. Admission is free and open to the public. The event has two components: a webcast hosted by Stephen A. Orlins, President of the National Committee on U.S.-China Relations, at approximately one hundred venues nationwide and Dr. Condoleezza Rice, as well as an on-site China specialist and moderator. ICC Assistant Professor of History Stan Mendenhall will moderate the event at the Peoria location. In addition, Illinois Soybean Association member, Rob Shaffer, a soybean farmer from Chenoa, Ill, will provide some remarks about trade with China and the impacts of the tariffs. To submit questions via Twitter: Please tag @NCUSCR or use the hashtag #CTH18 at the end of your tweet any time before or during the webcast.